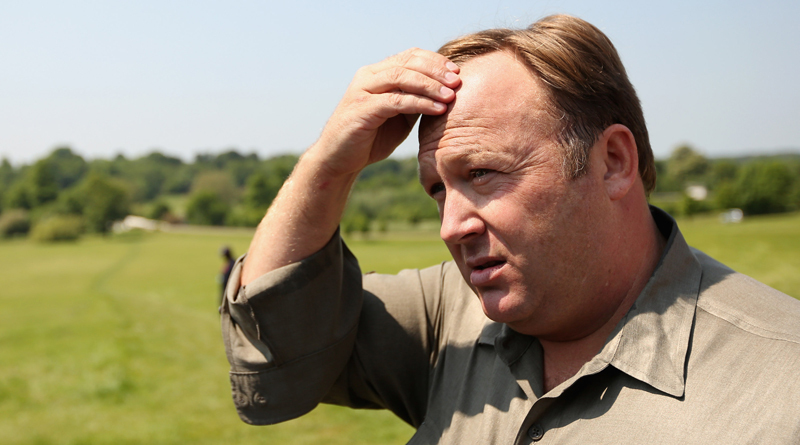 You may have heard that Alex Jones was recently banned from Apple, Spotify, Youtube and Facebook for repeatedly violating user agreements and company policies. For years I’ve attempted to draw a distinction between freethinkers and conspiracy theorists; labels that are often blurred but are really quite different. My contention with conspiracy theorists has ultimately been that they habitually profess their so-called ‘theories’ as facts. Freethinkers and conspiracy theorists are similar in that they both question information from news sources, authorities, corporations etc. that is proposed as authentic, but does not have sufficient evidence to support the validity of the claim. The difference between freethinkers and conspiracy theorists, however, rests in the rigorousness of skepticism. Freethinkers continue questioning until demonstrable evidence is presented, whereas conspiracy theorists tend to cherry pick suspicious data and utilize that data to support new claims (often wild and highly unlikely) that have not been, or cannot be, proven. Conspiracy theorists often have a tendency to dismiss evidence if it contravenes their theories, even if rigorous questioning reveals its validity, writing it off as merely ‘lies designed to suffocate the truth’. Skepticism is imperative. Too often conspiracy theorists will reject the release of an official story (which is fine, you should question everything) but will, without much hesitation, believe, with intrepid faith, a story that is equally, if not more so, bereft of evidence. Which brings us to Mr. Alex Jones, the facilitator and harbinger of a plethora of wild conspiracy theories and conservative diatribe. More specifically, the censorship of Alex Jones from 4 major social media platforms. If you couldn’t guess, I’m not a fan of Alex Jones. I find many of his actions and claims abhorrent and severely lacking in reason and logic. The censorship of Alex Jones leaves me with mixed emotions. Surprisingly, none of those emotions are joy or jubilation. As maniacal and unlawful as some of his content may be, an overall attempt to censor Jones completely is unsettling. I know Libertarians tend to side with the private company argument, that’s its their right to associate with whom they please. I respect that argument and don’t necessarily disagree with it, but any way you cut it, it’s major censorship. My trepidation with the Alex Jones censorship ordeal is that this very well could be the beginning of routine censorship initiatives; canceling out controversial material that doesn’t so neatly align with today’s new progressive era. Several ‘free speech’ scholars signed an amicus brief during the Gilmore defamation case against Alex Jones. While this may be sufficiently proposed in regards to a defamation lawsuit, the wording, to me, is troubling. If it is true that we’re to nullify, redact, or prohibit speech that has a defamatory essence to it, then that could spell disaster for political satire, comedy writers, fiction writers, and even boisterous personalities like Alex Jones, who should be taken less with an attentiveness to truth and more so with a grain of salt.